Hi Guys! We have been working on this game for a long time. Now we need your help. Here we have the first part of the game. We need a constructive feedback from you. Feedback of friends and parents is always positive, but it is better to hear other persons. 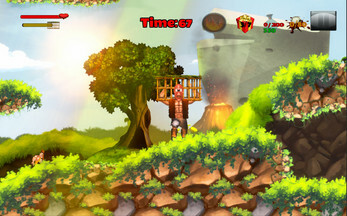 Here you can try a low quality web version of the game, but there is also a high quality version.